Danzig, (Ziggy) Norberg is a 23-year-old student of The Evergreen State College. He was born with Spina Bifida and uses a wheelchair. While some might assume that would result in a limited life, I can assure you, that is not the case with Ziggy Norberg. Despite the challenges he faces with mobility, he lives an extremely active lifestyle. Ziggy grew up in Minnesota. It was there he played on an adaptive basketball team. His team was approached to seek out individuals who might have an interested in expanding their athletic endeavors with paracanoe. 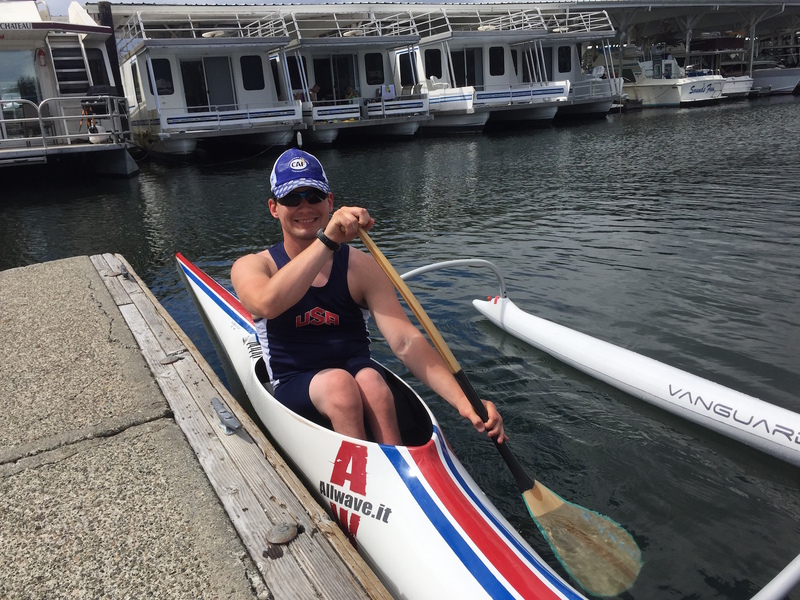 Paracanoe is competitive canoeing for athletes with a range of disabilities. After some consideration, Ziggy decided he was up for the challenge. “At the time, I just thought of it as cross-training for basketball,” he explained. But in just one year, Ziggy had already qualified to compete in the World Championships in Poland. 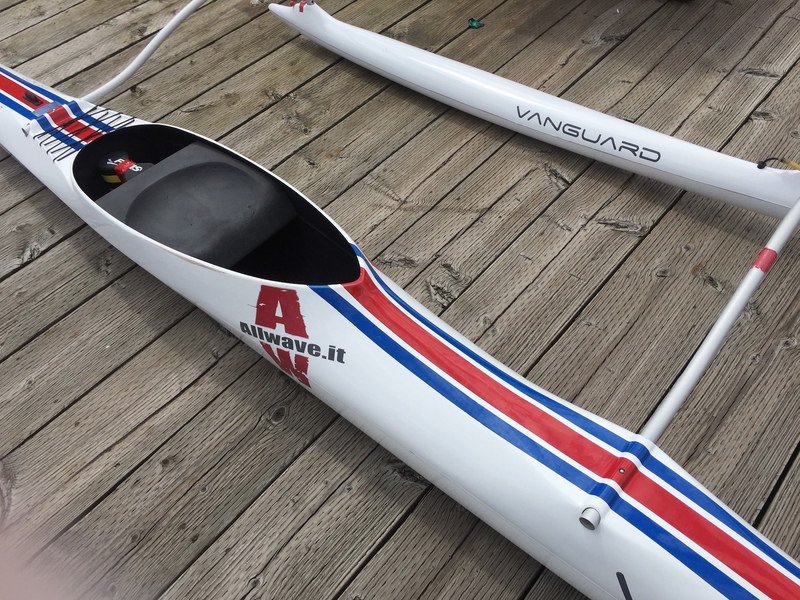 There are two types of boats used in Paracanoe. One is the kayak with a double-bladed paddle, and the other a va’a, which has an outrigger and uses a single paddle. Ziggy has competed in both categories but now focuses on the va’a. “As soon as I tried the va’a, I fell in love with it,” he said. He has been the national champion in both kayak and va’a multiple times. 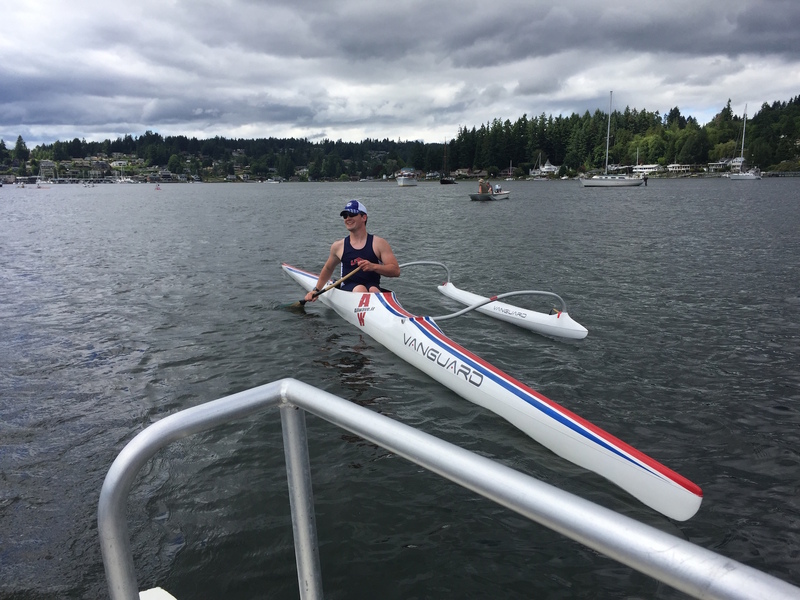 Norberg and his family relocated from Minnesota to Washington three years ago to join the Gig Harbor Canoe Kayak Racing Team. “It’s hard to be serious about a water sport when the water is frozen eight months out of the year,” he joked. The team is coached by Alan Anderson and has held the title of national champion five times. They practice daily throughout the entire year, rain or shine. The team meets for practice at Skansie Brothers Park in Gig Harbor. They practice as a group, but compete separately. As a part of my interview with Ziggy, I attended a practice to see him in action. It was a beautiful day at the docks and I was lucky enough to hitch a boat ride with Ziggy’s coach, Alan, to follow along on the water. As we motored along, Alan told me stories of his coaching career and boasted about Ziggy’s talent and accomplishments. After seeing Norberg’s paddling expertise in person, I was not surprised to find that he has qualified to compete in the ICF Canoe Sprint World Championship for the fourth time this August. The race will take place in Racice, Czech Republic. Ziggy will compete in the men’s va’a. Athletes are grouped into categories by gender and classifications. There are three classifications. L1 consists of competitors who have use of only their arms. L2 is for athletes with use of their trunk and arms, but limited leg functionality. And L3, which is for paddlers with a disability who can still use their legs, trunk and arms to compete. In his category, L2, Ziggy is currently ranked sixth in the world. Attending the Worlds is a costly venture and is funded completely by the athletes themselves. Ziggy is only able to compete around the world through grants and donations. To help him reach his goals, he has set up a GoFundMe campaign. 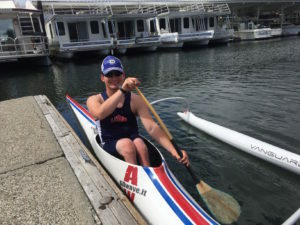 On his page, he shares his thoughts on his journey and commitment to both his sport and to representing the disability community. To read more from Ziggy and contribute to his continued success as an athlete, visit his GoFundMe page online. Ziggy will continue his education at The Evergreen State College in the fall. He is currently studying pre-law and plans to attend law school. His plan is to practice law with an emphasis on sports and disability. In addition to his commitment to competitive canoeing, he continues to play basketball on a team in Tacoma. The ICF Canoe Sprint World Championship in Czech Republic takes place August 23-27, 2017. Join me in supporting this talented member of our community by contributing to his campaign and sharing his story with others. Good luck, Ziggy!